Located on the Winward side of Oahu, Kualoa Ranch has just about everything to offer that you could ever hope for. With 4000 acres of countryside to explore, you can be sure that neither you nor your wedding guests will be lacking in fun things to do. Kualoa Ranch features Secret Island, Hakipu’u Valley, Ka’a’wa Valley, and an 800 year old Moli’i fish pond its easy to see why Kualoa Ranch has been the backdrop for many movies and TV shows including: 50 First Dates, Lost (my favorite! ), and Jurassic Park. 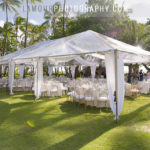 Ranch House: For a more rustic feel for your wedding, the Ranch House features largest covered pavillion at Kualoa Ranch, not to mention some air conditioning!. Paliku Gardens: At the base of Kualoa cliffs, this venue accomodates around 250 and offers breathtaking views. Moli’i Gardens: 125 acres featuring a covered terrace overlooking an 800 year old tranquil pond You can’t get that in Honolulu! Concert Pasture: 5 acres that can accomodate up to 20,000 guests with a beautiful view of the ocean and Chinaman’s Hat. Ka’a’awa Valley: Exchange vows surrounded by your loved ones and awe-inspiring mountain ranges. Secret Island: Follow a labyrinth of trails to this hidden beach for a private Hawaii beach wedding. 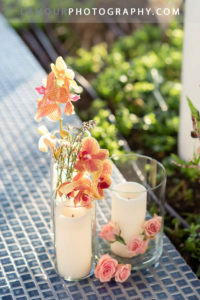 Please contact us at L’Amour Photography for availability to photograph your Oahu wedding.